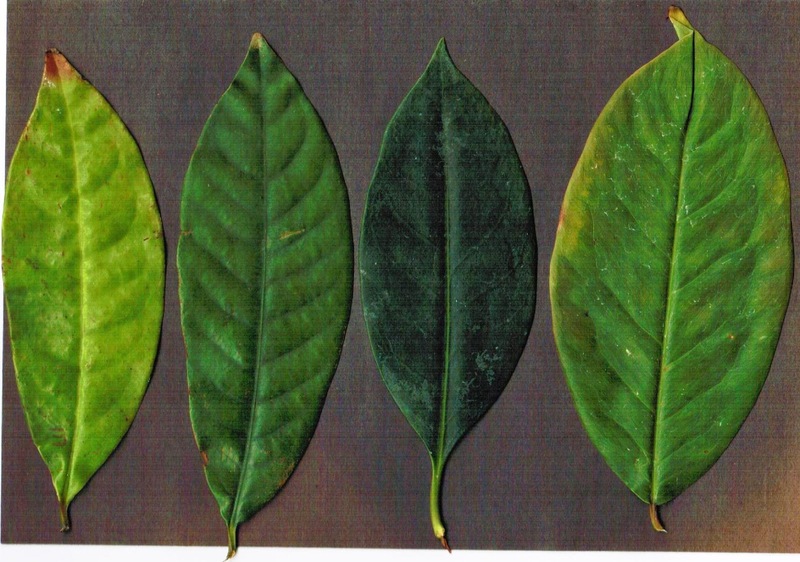 Here's some leaves that the Phactor scanned after using them in a class. They are all tropical woody plants, but none are any more closer related than being members of the same order. Note how similar they all are in shape and with a smooth margin. They all have a bit of a short drip tip, and all have pretty waxy cuticles. Now here's the fun part - one is a gymnosperm (Gnetum), one is basal angiosperm (Illicium), and the other two are from the Magnoliales (Myristica, Eupomatia). Can you figure it out? Hey, does the Phactor have a cool collection of plants at his disposal or what? Wow. I have no real idea. I want to say 'middle left', because its veining looks odd, but I have no idea. And now I've looked up 'gnetum' and I think it's the one on the right. The petiole is different on that, and not on the other three. Well, what can TPP say about Maire Smith? Perhaps she's a plant savant because without a clue about why, she correctly picked out the Gnetum! Good job, Maire. The Gnetum actually has the strangest venation, but it is hard to see in the scanned images.